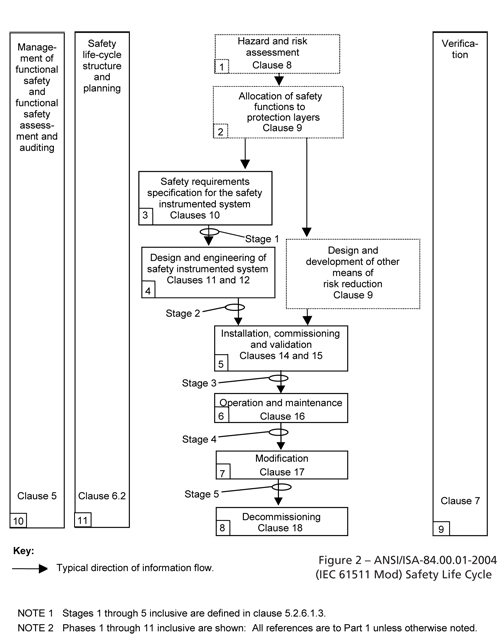 ESC is able to provide Functional Safety Management (FSM) assessments to international standards such as IEC 61508, IEC 61511 and IEC 62061 to demonstrate that the management of design activities and system implementation is appropriate and that there is adequate competence for carrying out each task. What is Functional Safety Management? Functional Safety Management defines all activities required during the Functional Safety Lifecycle phases of a product / process, which is necessary in achieving the required level of Functional Safety. Functional Safety Management is specific to both people, departments and organisations that are responsible for each Safety Lifecycle phase / activity within each phase. 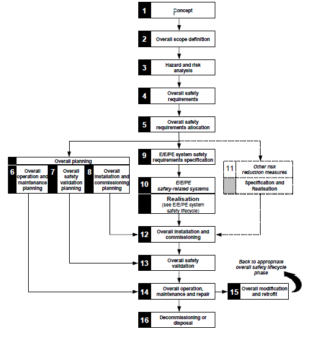 Fundamental to IEC 61511 and the prevention of systematic failures is the Functional Safety Lifecycle. 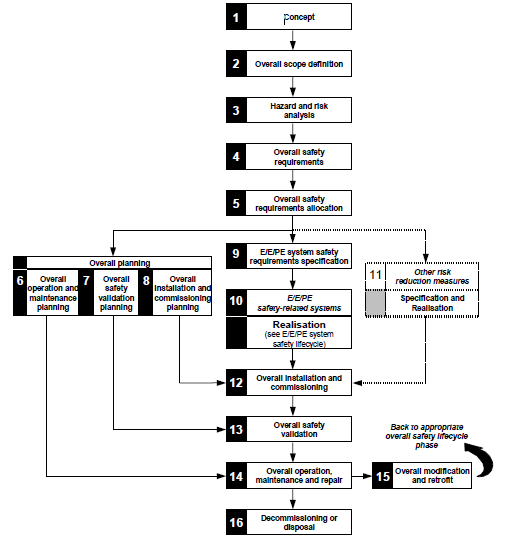 The objective of the Functional Safety Lifecycle is to define the various phases from concept to decommissioning of a Safety Instrumented System (SIS). 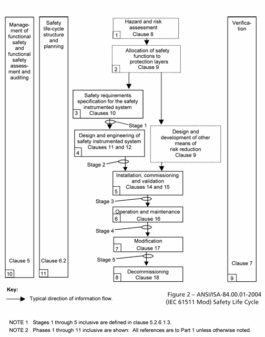 When the Safety Lifecycle is applied, each phase should be documented to demonstrate all phases on the Functional Safety Lifecycle has been clearly defined and the appropriate requirements realised. ESC’s Functional Safety Management Consultants are able to setup Functional Safety Management Systems and undertake third party Functional Safety Audits on existing procedures and techniques for compliance to the recognised safety standards, including IEC 61508, IEC 61511 and IEC 62061. Development of new Functional Safety Management procedures if required, such as a FSMP, Safety Requirement Specification (SRS), Proof Test Procedures as well as training of personnel in areas such as SIL Determination, SIL Verification and an introduction to IEC 61508 and IEC 61511.